I’m not going to try to convince anyone who doesn’t like anchovies to eat them. Just keep in mind that anchovies dissolved in sauce like this aren’t the same a eating them directly from the can. Give it a try – you might like it. I called it ????? 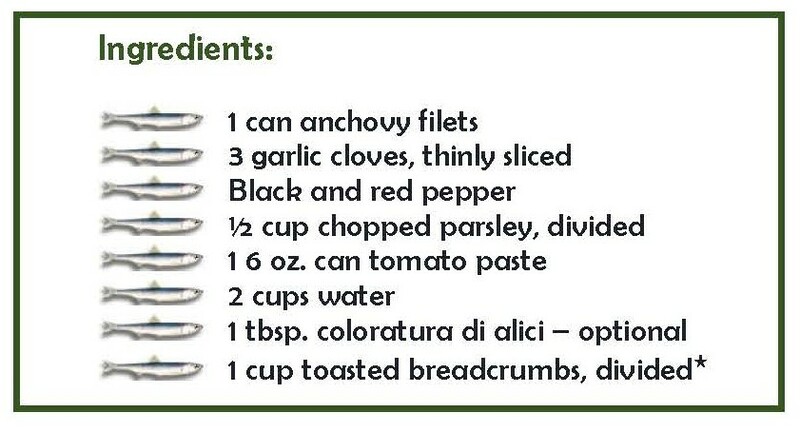 Tomato Sauce in the subscriber email so you anchovy haters wouldn’t ignore it. Put up a pot of water for the 1 lb. 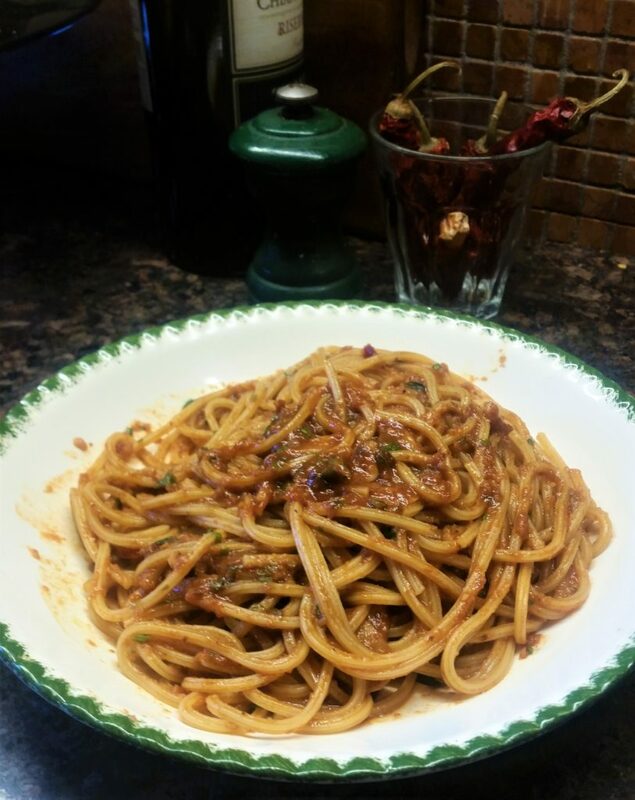 of pasta – spaghetti or perciatelli is good with this sauce. Put the anchovies and oil from the can into a large pan with an additional ¼ cup of olive oil. Add the garlic, pepper and half of the parsley and sauté on a low heat until the anchovies dissolve. Add tomato paste and after it’s blended in with the garlic and oil and caramelized, add the water. Blend and simmer on medium heat for 15 minutes. 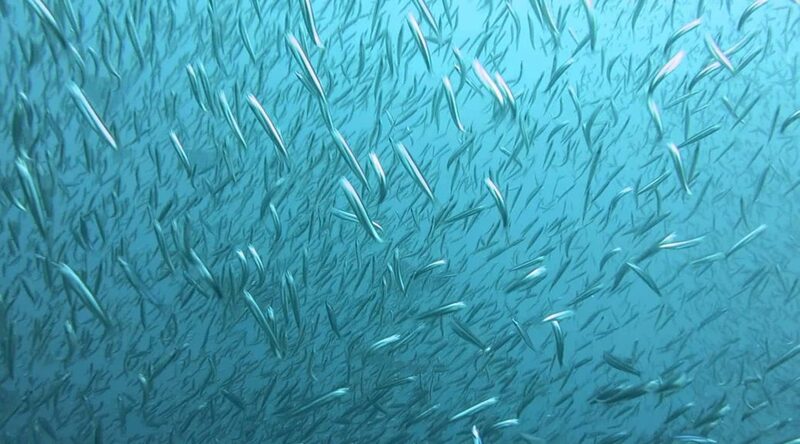 Check for seasoning – the anchovies are salty so you shouldn’t need any more salt. When the pasta is almost done add it to the pan with the sauce to finish cooking. Add some pasta water to thin the sauce. 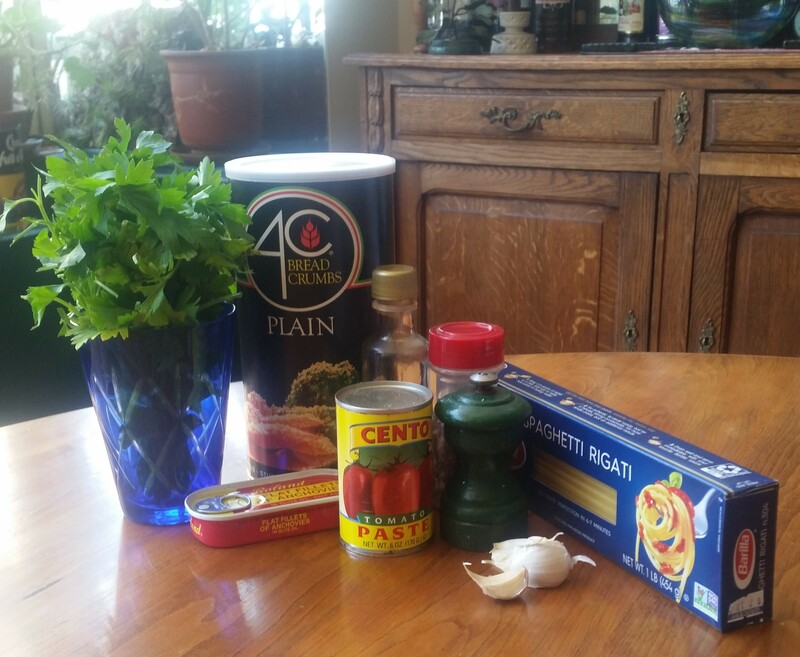 Mix in the coloratura di alici, half of the breadcrumbs and remaining parsley just before serving. Serve with the remaining breadcrumbs.